jbs inspiration: Happy Jenni Day! In honor of the birthday girl, I created a card that reminds me of Jenni. 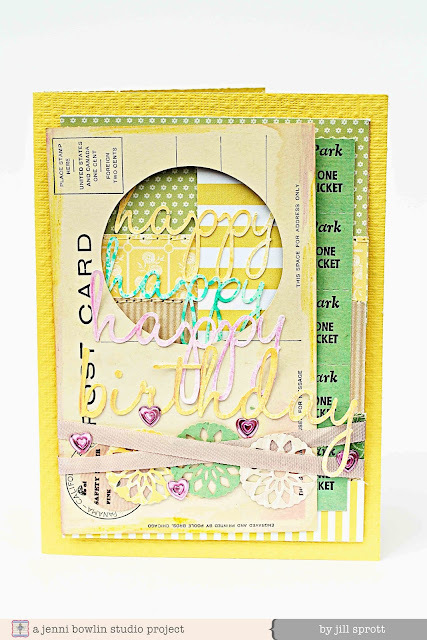 Like Jenni, this card has a softness to it, but it is also quite colorful. It is fresh and springy, but it also had to include some vintage elements. It is multi-layered but also embraces the basics. Most importantly, it was put together with love! So pretty and colorful...I love the vintage to it too and all the layers...Very very pretty.